Now you can train with your .380 pistol anytime, anywhere with the best dry fire training that money can buy. The SureStrike™ eliminates the need for a dedicated training firearm as it can be loaded into the shooter's firearm to perform any drill with immediate feedback that the shooter can see and hear! The SureStrike™ .380 dry fire training system fits directly in any .380 caliber firearms breech and is activated by the impact of the firing pin to emit an eye safe laser pulse simulating the point of impact. 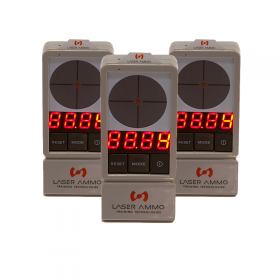 This immediate feedback from the SureStrike™ transforms the typical dry firing session into a powerful learning experience. 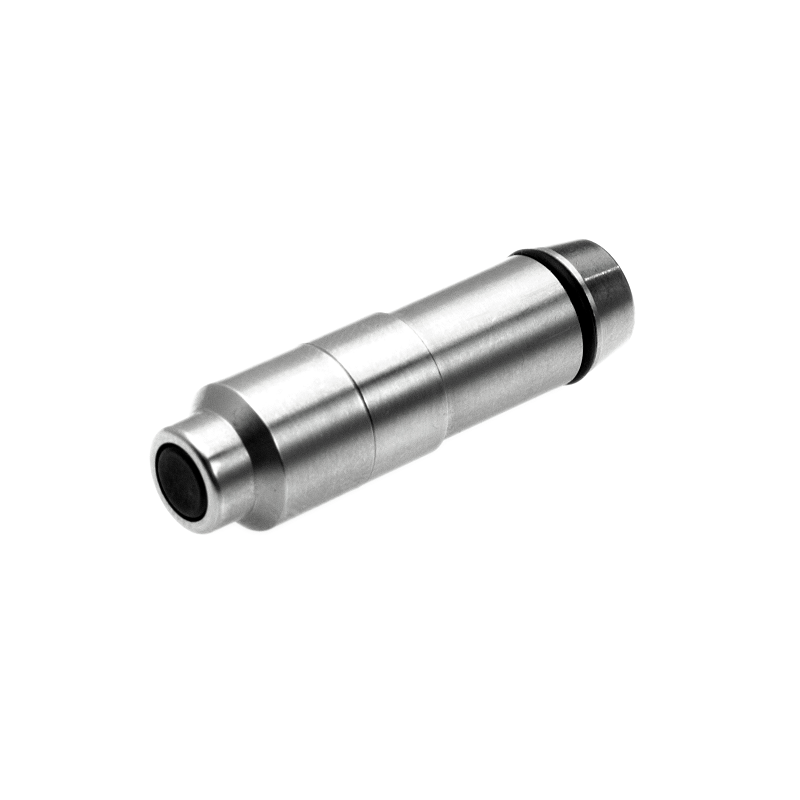 Unlike other laser cartridges which are activated by vibration, SureStrike™ is activated by the action of the striker or firing pin, which eliminates the possibility of misfires. A live round cannot be loaded in the breech, making it completely safe while training. 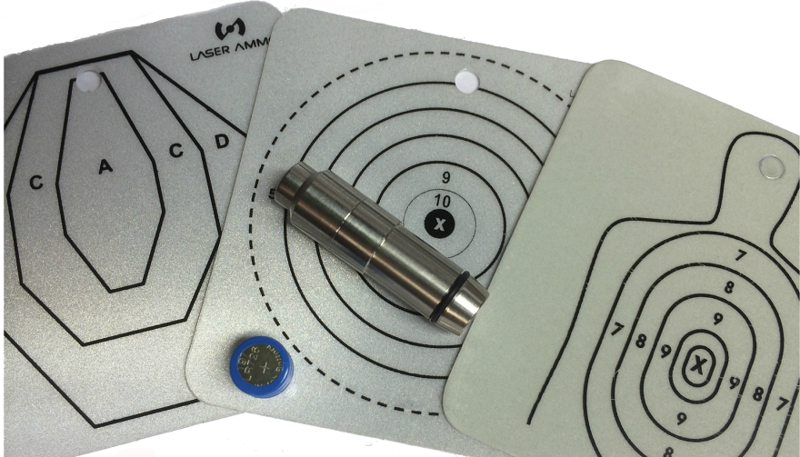 The SureStrike™ .380 cartridge works with any type of target; from a simple paper target or reflective target, to Laser Ammo's interactive targets, the LaserPET™, or L.A.S.R. Software. 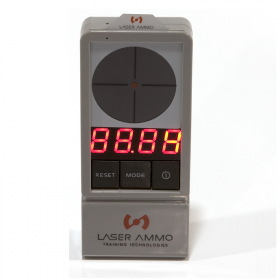 The SureStrike™ cartridges can also be programmed to work with a variety of firearms training simulators. 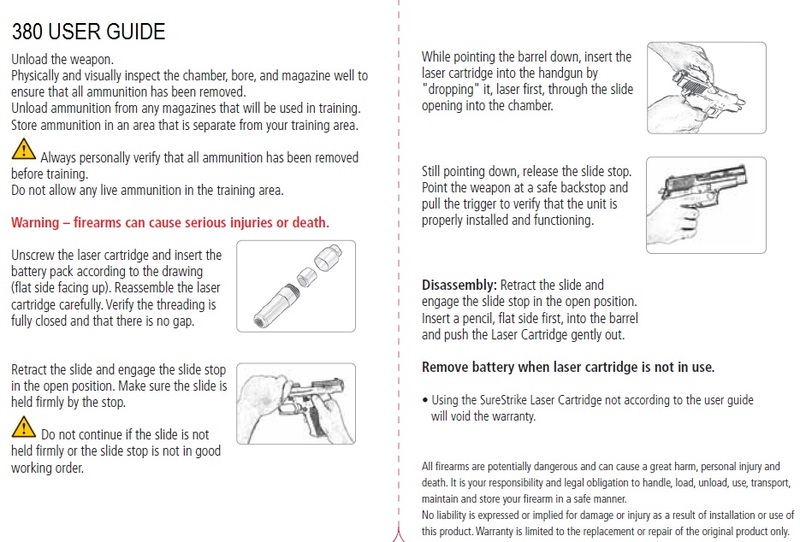 The SureStrikeTM .380 Laser Cartridge is a standalone cartridge and will not work with any other SureStrikeTM caliber adapters. The SureStrikeTM .380 cartridge is a standalone cartridge and will not work with any other SureStrikeTM caliber adapters.